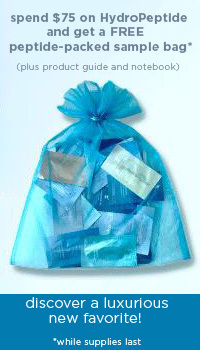 DrSkinSpa.com is an Authorized Retailer of Hair Therapy Wrap. All Products are Guaranteed Authentic & Fresh. 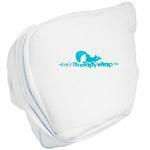 Hair Therapy Wraps products are turban heat wraps that are cordless and easy to use. 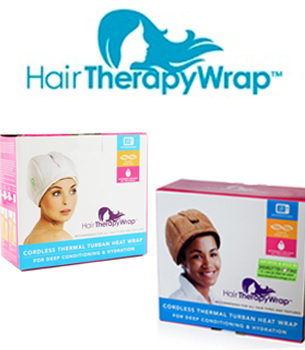 An advanced heat technology is used that enables the patented Hair Therapy Wrap to provide warm moist heat to hair and scalp for up to 30 minutes. The Hair Therapy Wrap is made with thermal gel packs that insulate heat for the allotted time needed to recapture the hair and scalp’s natural balance. The steps for using Hair Therapy Wrap are simple. The Wrap with the inserted gel caps must be heated in a microwave or in very hot water on the stove. The turban is then placed onto the head in four simple steps to secure it properly. 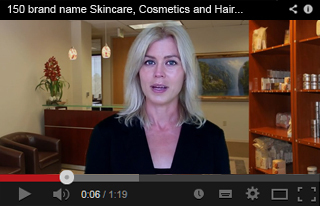 Hairdryers are not necessary when using Hair Therapy Wrap products. The Hair Therapy Wrap is made of 100% cotton. It will repair dry hair that has become dull and lifeless with the simple use of any chosen deep conditioning product beneath the turban. The Hair Therapy Wrap comes in three different colors: white, taupe and cocoa brown. I am thrilled with my order from DrSkinSpa. Their service is excellent as I had some questions and they responded immediately, plus they sent me some free samples as well. I will recommend this company as they stand behind their products and always deliver what they say they will. You cannot beat them for quality products and excellent customer service. Received my order today from DrSkinSpa and was so happy because it came before the delivery date. I was excited to try this new product and am glad to say that it is exactly what I wanted. I have had problems with my skin and DrSkinSpa always has the best products at the best prices. Plus they offer the opportunity to talk to an esthetician so you can really understand what each product will do before you purchase it.